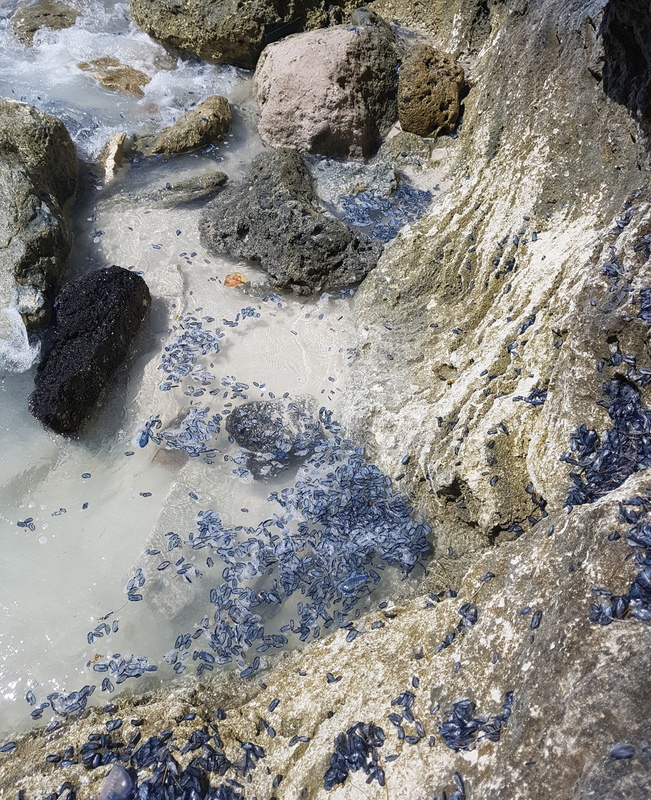 [Updated with video] The Department of Environment and Natural Resources is advising that large numbers of the By-the-wind sailor Velella velella have washed up on Bermuda’s shoreline in the past few days. 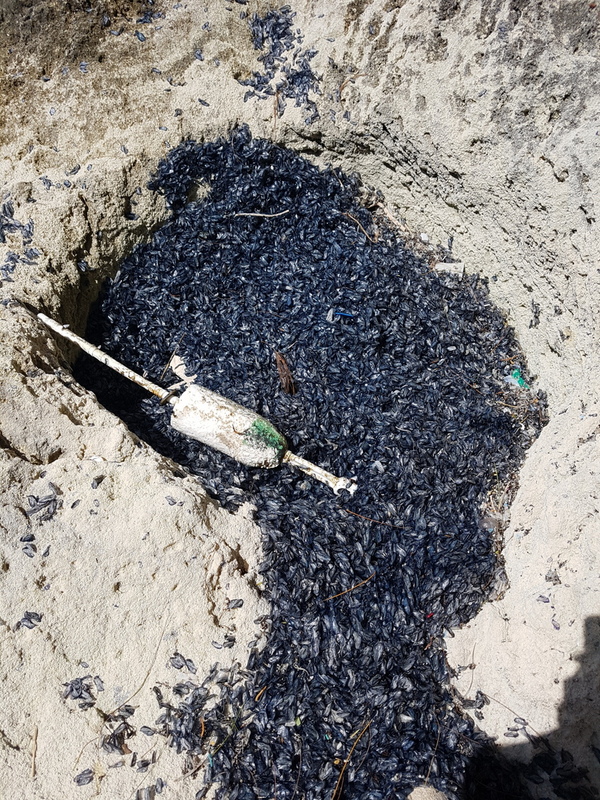 “This follows speculation and concern from various members of the public that these are the venomous Portuguese-Man-of-War,” the Department said. “They are abundant now because the ocean around us is experiencing its spring bloom,” said a spokesperson for the Department. “The stormy weather of the past month has brought up nutrients from the deep water, which stimulates the growth of plankton. 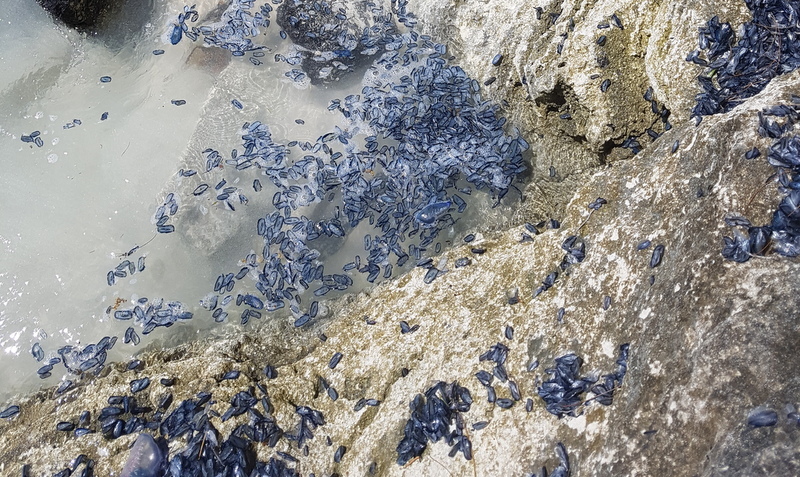 “Consequently, the V. velella benefit from having more food and begin to reproduce at a fast rate at this time of year. High winds can blow the V. Velella inshore. DO NOT GO INTO THESE WATERS! I did to my peril. Intense pain almost to fainting in the beginning lasting for three days before tapering off. Still felt it after a week. I had no access to hot water at the time, didn’t know that solution then anyway, but it’s the one that works.